We are one of the leading organizations actively involved in offering a broad gamut of Auto Fuse to our respected clients. These products are made from high quality components. 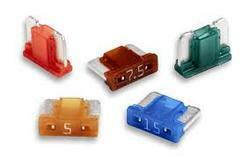 We have been able to offer our clients qualitive range of Car Fuse. Our company is among the most sought after offering Automotive Blade Fuse to the clients. This product is ideally suitable for back-up protection to motor Starters, MCCB and other such equipment against short circuit and overloads. 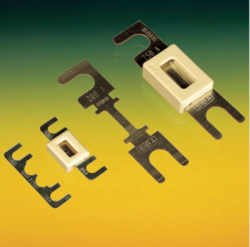 Automotive Blade Fuse is light in weight and has compact design. High premium quality car fuse available for all cars and types. The 60 Amp Fuse provided by us are known for their sturdiness and excellent resistance to breakage. These items are renowned for their aesthetic appeal and longevity. We are one of the reliable companies in this domain and are into offering Automotive Fuse. Matching up with the exact requirements of customers, we are involved in presenting wide array of Automotive Fuse. We bring forth a huge series of Automotive Fuses and Fuse Holders that helps in interrupting excessive current in order to prevent damage due to overheating. These have high efficiency and longer working life span. Due to their use of high quality raw material these are quite demanded in the market and we also offer them in good prices. Specifications : 5 Amp. to 40 Amps.